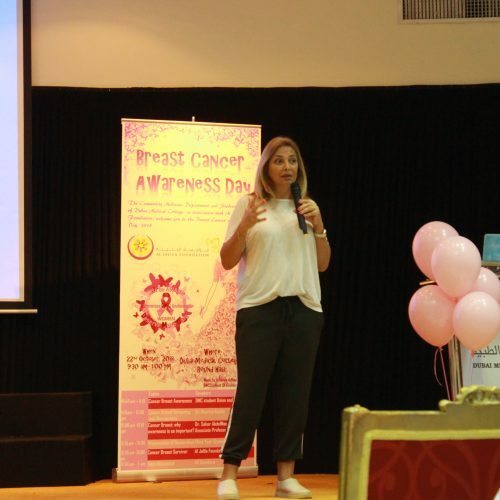 In honor of Breast Cancer Awareness Month, an annual international health campaign, and showing its support to the cause, Dubai Medical College held its annual Breast Cancer Awareness Day on Monday, 22nd of October in the college roundhall. 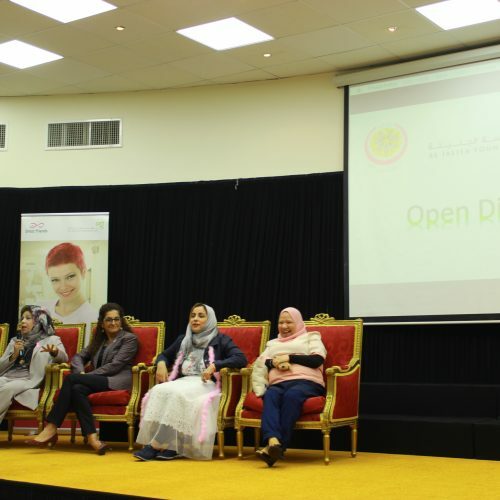 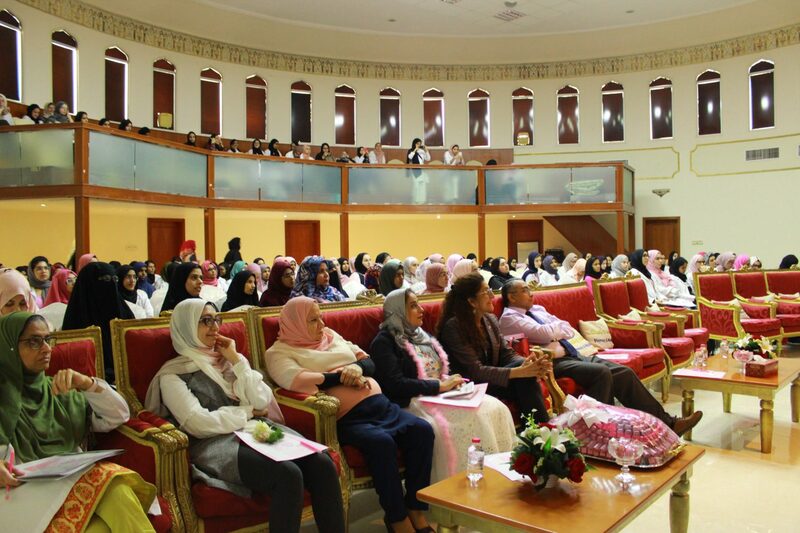 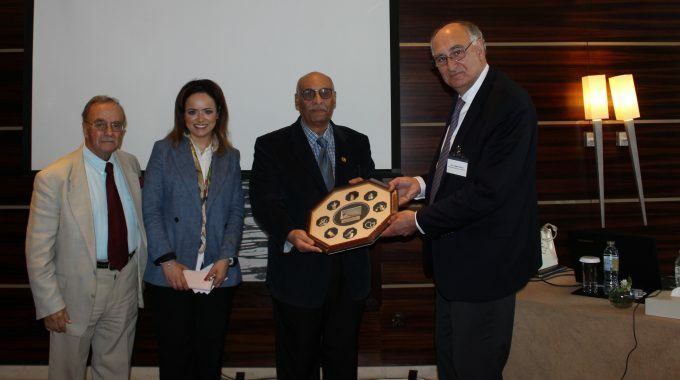 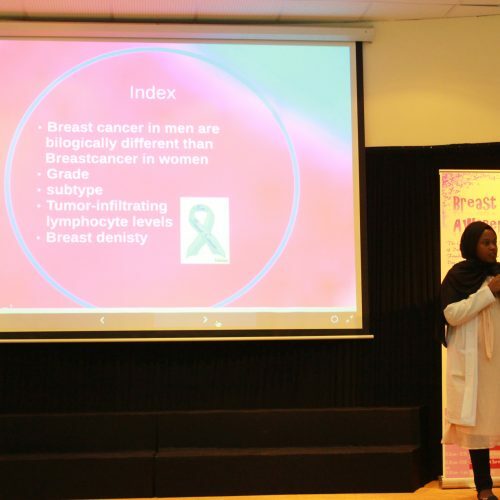 This event was organized by Dr. Sahar Helmi AbdelMaqsoud, associate professor of Community medicine, in collaboration with Al Jalila Foundation, a non- profit charitable organization for promoting medical education and research in the United Arab Emirates., and Brest Friends, another partnered organization. 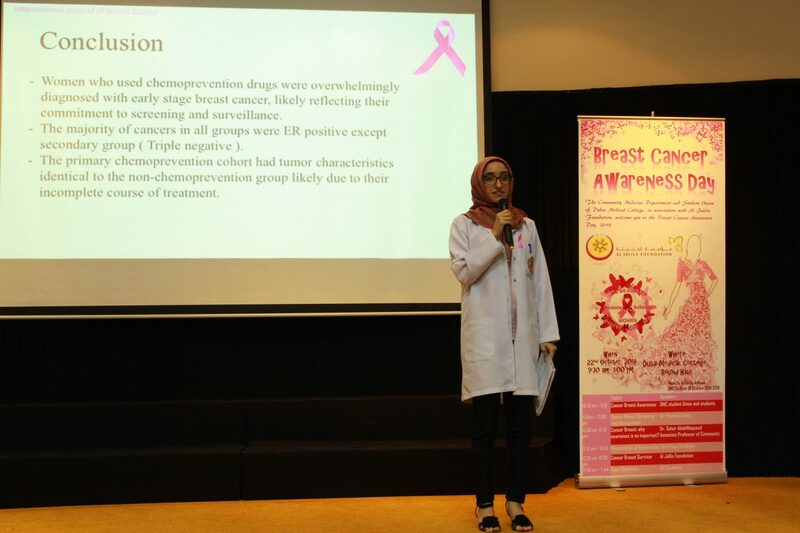 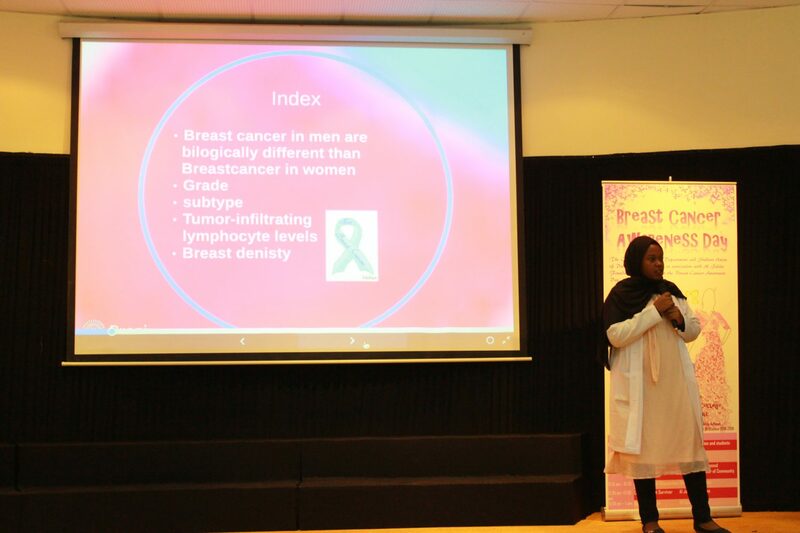 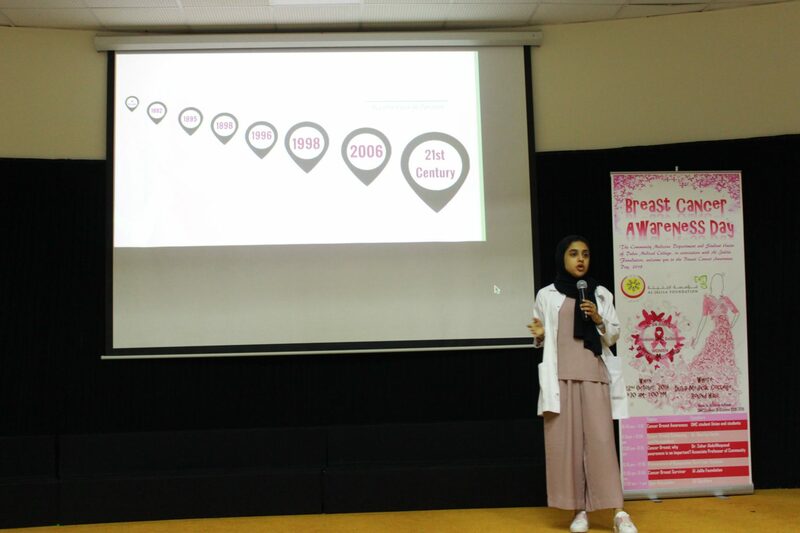 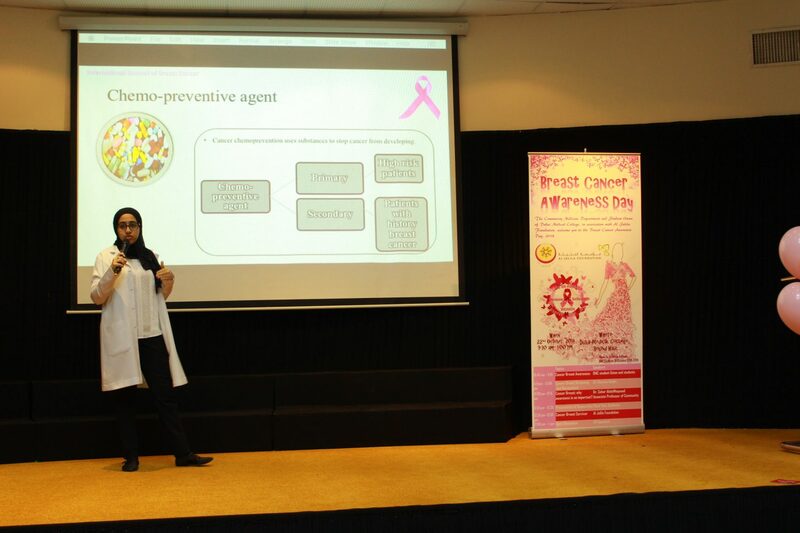 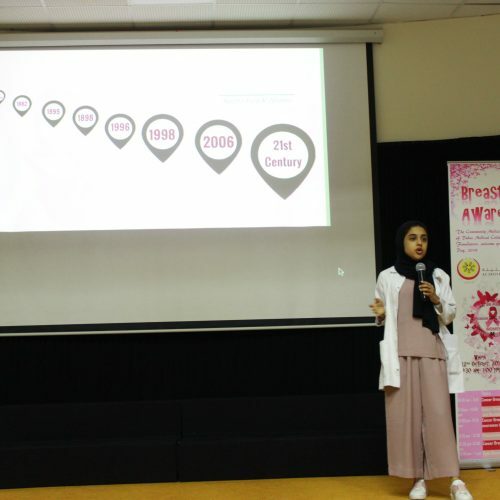 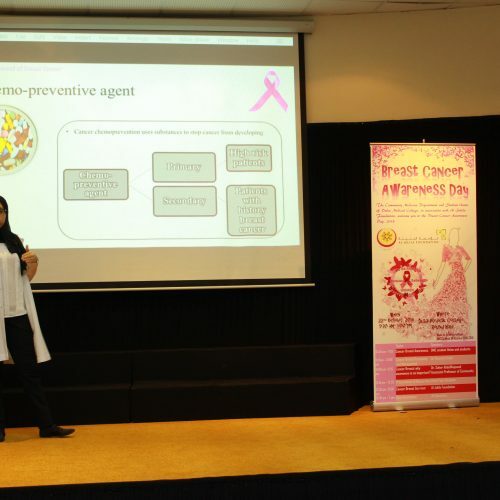 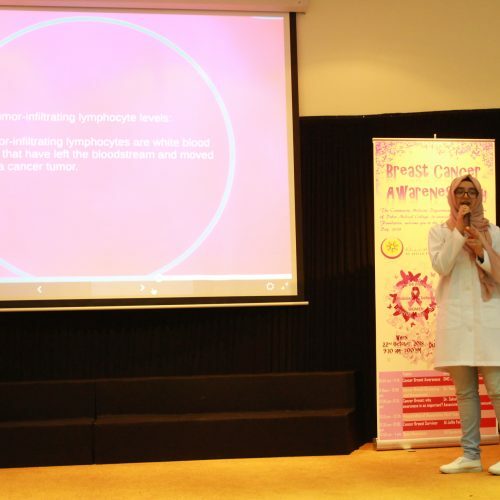 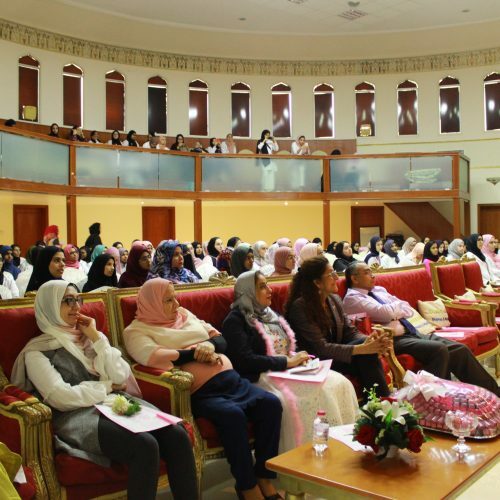 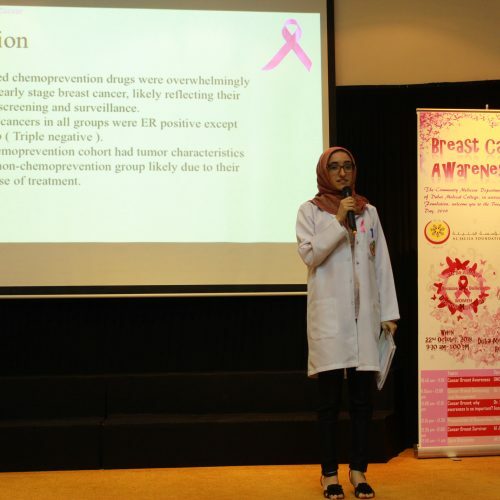 The event started with brief, well done presentations by Dubai Medical College students about the disease, which was followed by a presentation from the main speaker from Brest friends, Dr. Houriya Kazim, the UAE’s first female surgeon, about breast cancer screening and management. 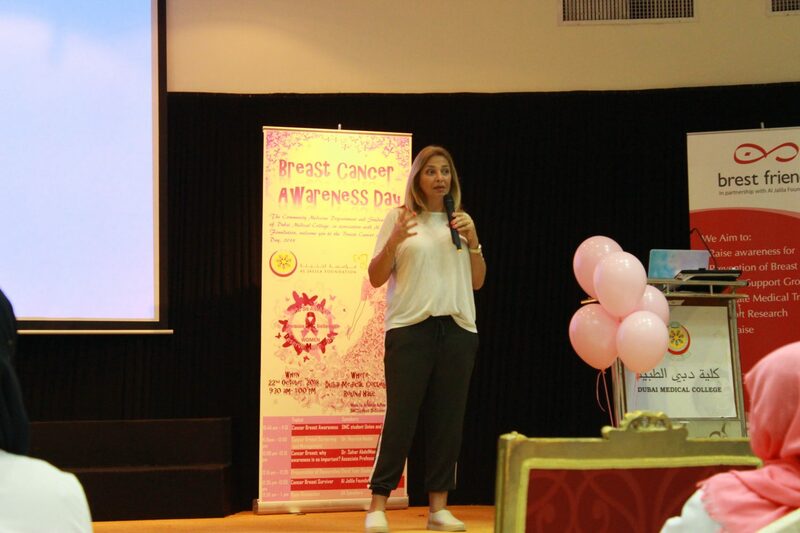 After that, Dr. Sahar gave an eye-opening presentation explaining why awareness is very important and emphasized upon. 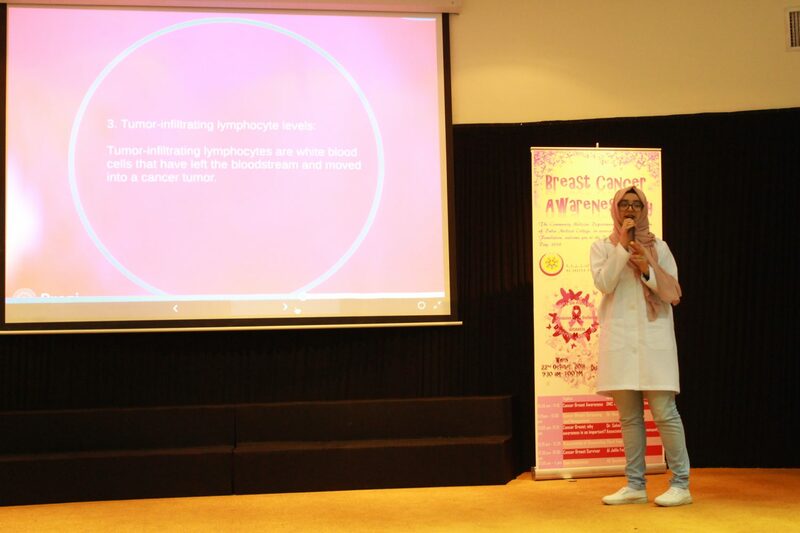 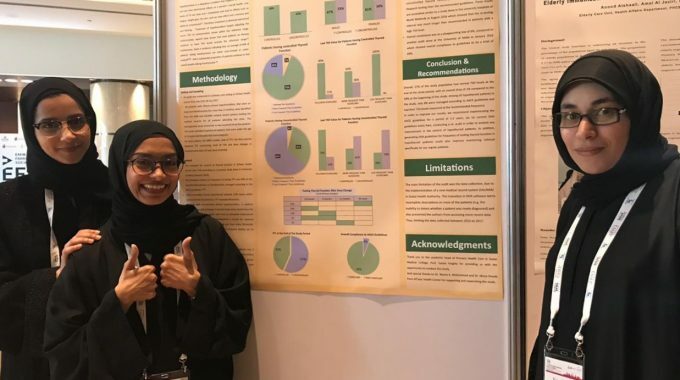 Third year students also had the opportunity to present their researches regarding the disease, afterwards, the students got the chance to hear about the disease from someone who experienced it themselves, a Cancer Survivor from Brest Friends, Mrs. Randa Mushtaha, who gave us a glimpse into her journey. 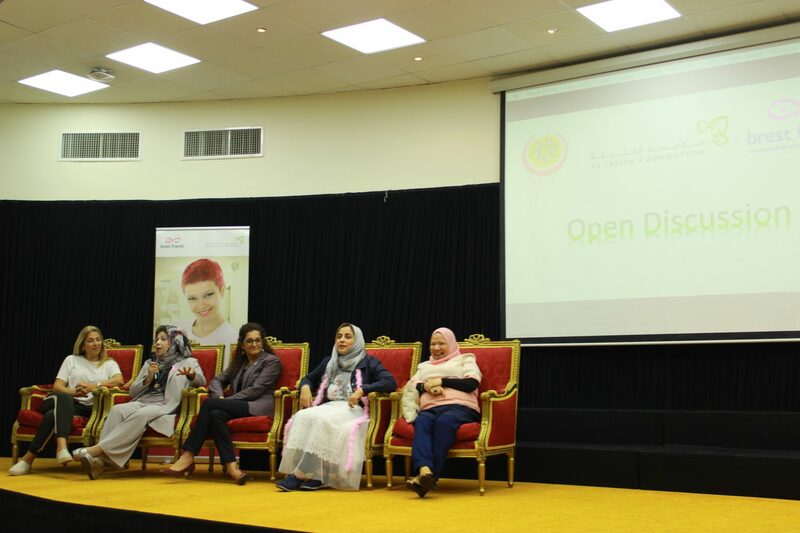 The successful event ended with an open discussion, giving the attendees the chance to ask their questions and give their comments. 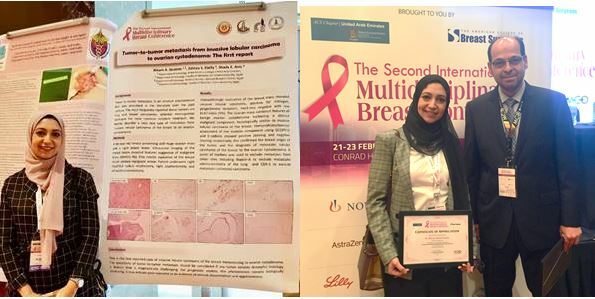 previous post: A DMC graduate – Dr. Islam El Nebrisi – got a PhD degree with excellence from UAE University.